Don’t worry about making an extra stop at the garden center. 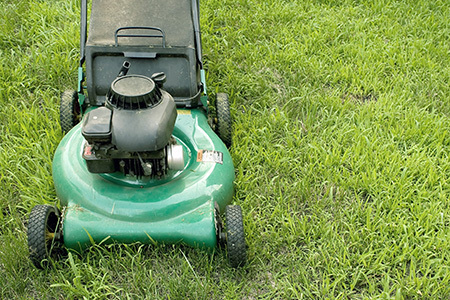 Save yourself time and browse through our lawn and garden department. Our building supplies product stores also have pet supplies, fencing hardware and even grilling gear. No matter the season, we have the right products at the right price and knowledgeable staff to help you hone your green thumb. We understand how important the exterior of your home can be. To help you maintain your house and its surroundings, we stock high quality lawn and garden tools, pest control products and outdoor décor items. Seasonally we add various supplies to make your life easier, like snow blowers, sprinklers, seeds and salt. Love to decorate? We stay on top of the trends and keep lots of outdoor holiday décor items in stock! We search for the best quality, affordable items to make your yard an enjoyable extension of your home. Need help controlling an insect problem, or want assistance finding the right grass seed for your situation? We can help! Our service team has a love of the outdoors and years of gardening experience to help you master your next outdoor project. We can help you find the right solution for an invasion of ants or we can talk you through replacing your trimmer line. No matter the job, we are here to help! Tame the outdoors with our great selection of outdoor power tools! Pay no shipping with our ship-to-store option through True Value.